what is cognition, and what is it to have a mind? What questions should we ask to determine whether behaviour has a cognitive basis? animal consciousness: what does research into pain and the emotions reveal? What can empirical evidence about animal behaviour tell us about philosophical theories of consciousness? does animal cognition involve belief and concepts; do animals have a ‘Language of Thought’? other minds: do animals attribute ‘mindedness’ to other creatures? Extensive use of empirical examples and case studies is made throughout the book. These include Cheney and Seyfarth’s ververt monkey research, Thorndike’s cat puzzle boxes, Jensen’s research into humans and chimpanzees and the ultimatum game, Pankseep and Burgdorf’s research on rat laughter, and Clayton and Emery’s research on memory in scrub-jays. 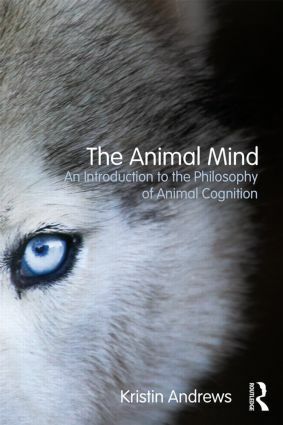 Additional features such as chapter summaries, annotated further reading and a glossary make this an indispensable introduction to those teaching philosophy of mind, animal cognition. It will also be an excellent resource for those in fields such as ethology, biology and psychology.